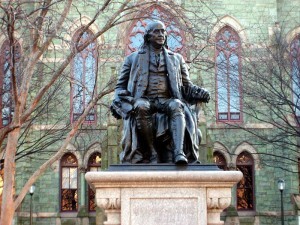 Writing about Ben Franklin in a Why Penn admissions essay is lame. Ben Franklin saved is a Why Penn essay earned. Oy vey. That was bad. We tried. We’ve discussed the Interest Quotient on the pages of our college admissions blog before. And yet so many students and parents just don’t seem to understand the importance of the IQ. A couple of years ago, we had a student who gained admission to Princeton and Yale in the Regular Decision round. The student also applied to Penn. We told the student and his parents that since he hadn’t visited Penn and had no intention of doing so before decisions rolled out in April, he wasn’t going to get in there. And, sure, enough he got into Princeton and Yale but not Penn. We were utterly shocked. Not. Penn, like many highly selective colleges, isn’t going to admit a student who isn’t going to matriculate. Even if that student has perfect or near-perfect SAT scores and grades and is exceptionally talented in a particular area. Why? Because Penn cares about their yield. They want to admit students who will choose to matriculate. They want their yield to be high. If they think a student has a great shot to get into Harvard, Princeton, and Yale and has shown no demonstrable interest in Penn, that student has about as good of a shot of getting into Penn as the New York Knicks have a shot of winning this year’s NBA championship. It should be noted that the New York Knicks have a horrendous record and their one star player, Carmelo Anthony, is on the verge of calling it a season and getting surgery. There are many ways in which colleges like Penn measure interest. Visits are a huge component. If you live in New York and didn’t bother to make the drive to Philadelphia to take a tour and attend an information session, Penn knows you’re not all that interested in attending their institution. Contacts with the admissions office are recorded as well. What you write in that long Why Penn essay matters a great deal. The game in that essay is all about specifics. And writing about Ben Franklin is a no-go. 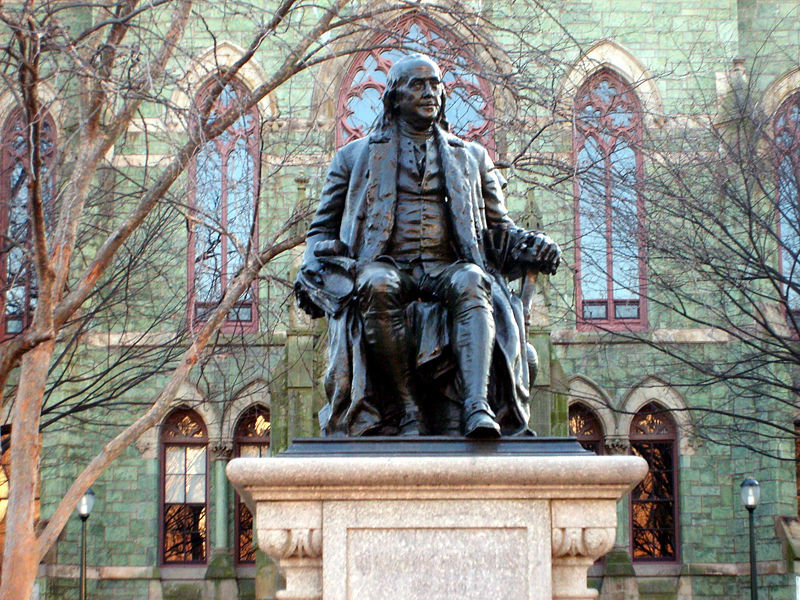 Penn admissions officers aren’t fooled for a second that you want to go to Penn because of Ben Franklin. Do your homework on Penn. Just because Ben Franklin may lead off Penn’s Wikipedia entry doesn’t mean he should lead off your Why Penn essay. It’s all about specifics in that Why Penn essay. It’s all about showing, not telling. These are but some of the factors that influence an applicant’s measured Interest Quotient. Show your interest in colleges!